I love your school room. Mine is a mess. I've been homeschooling for three or four years now. I love it. She's never been to ps. 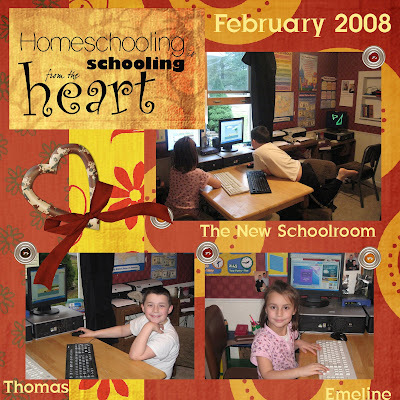 I love that you've done some word art for homeschoolers. I've been telling some of the designers we need a homeschool kit to scrap with. Thanks for the word art. I love them.